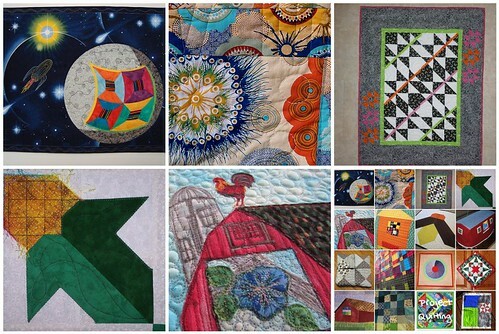 It’s that time to start taking a closer look at the amazing projects created for the Barn Quilt Project QUILTING Challenge. This was so fun! 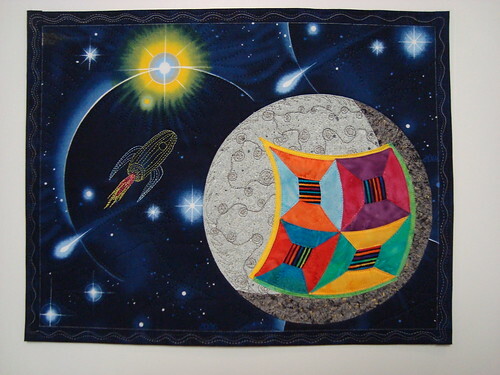 Here is my challenge piece for the Barn Quilts: "Quilters' Guide To The Galaxy". When I first saw the challenge for Barn Quilts I was not thrilled and inspired but then I began thinking I could do a nice landscape with a barn and put a quilt on it and as I started looking through my stash for fabric I came across this great space fabric for 2000 - which I'd never made anything with before - and I thought: "Wow! I could quilt the Moon!" And I thought about one of my favorite artists - Christo who wrapped fabric around all kinds of buildings and landscapes so what would a quilter do to the moon? 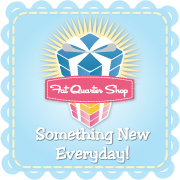 I picked the thread spools block and hung a giant quilt on the moon and then thread stitched a rocket ship taking a group on the ultimate shop hop! The finished piece is 12 x 15.5, the moon/quilt is pieced, rocket is stitched, binding is fused and accented with silver gel pen and variegated thread. It was fun to free motion the craters onto the moon. This was made in DeKalb, IL. Thanks for this challenge topic! 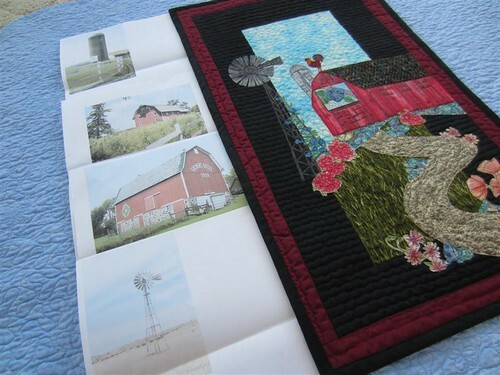 The challenge was to create a block for a Barn Quilt. 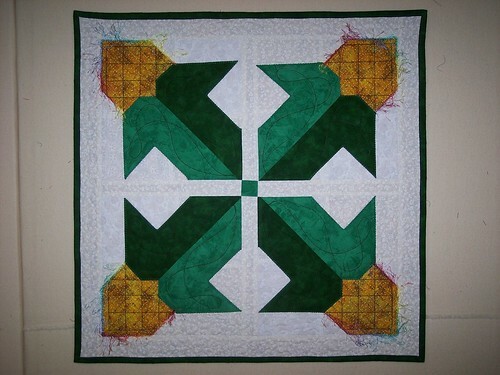 A Barn Quilt is usually a big quilt (around 8'x8') that depicts one block. I chose to do my own version of a wonky log cabin block. This is my first attempt at a wonky log cabin, but I have to tell you, I was completely enamored with the marriage of modern + traditional. This whole idea of a log cabin (which was my very first quilt block ever! yipeee!!) with straight line quilting (modern) and white space (modern) along with crazy awesome modern fabrics (Dan Bennett's Cosmos from Free Spirit) with the added traditional folk hand quilting (middle block) just made me smile through the whole process. LOVE that! This quilt is 50"x50" and made in Texas!! yehaaaw!! 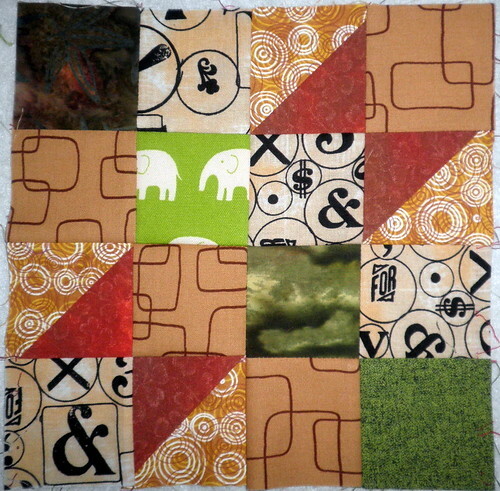 Project Quilting Challenge 4, Barn Quilts; "Old Maid, Re-made"
Since I live in Kentucky where the Quilt Barn Trail is well established, I decided to choose my block from a barn in my area. I found the photo online of a barn that is about an hour’s drive from my house. The block is called Old Maid’s Puzzle and it’s a simple, old fashioned block. According to the book “5,500 Quilt Block Designs” by Maggie Malone this block was first published in 1895. My loosely formed plan was to modify the block to make something more colorful and modern looking. I made 6 Old Maid’s Puzzle blocks out of black and white fabric. Three had black triangles on a white background and three had white triangles on a black background. Then I cut each of these blocks in half diagonally. I paired a light half and a dark half and joined them with a bright colored strip in between. I tried these new blocks in several layouts until I found the one I liked best. I added a border that included additional Old Maid’s Puzzle blocks in the traditional pattern. This quilt measures 29” x 38”. I imagined I would have a large barn. So large, that it wouldn't even fit on my quilt. It would be huge! I would fill it with quilts, fabric, and sewing machines. 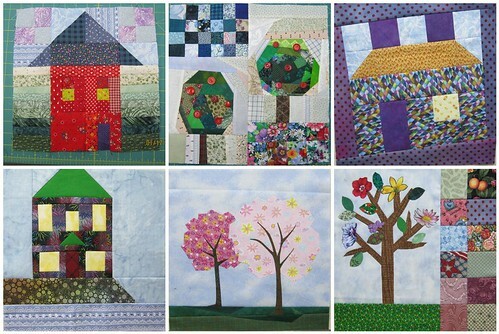 People would come to sew and create quilts everyday in my imaginary barn with my imaginary barn quilt on it. 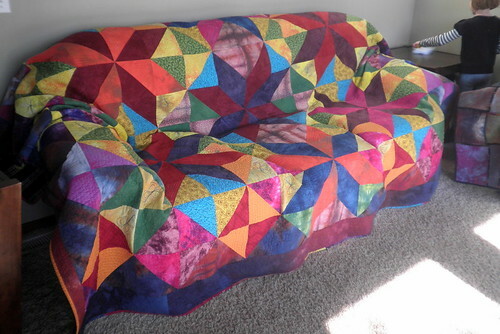 I blogged about the completed quilt. I named it "If I had a Barn Quilt". My husband said the nicest thing to me tonight as he looked at my finished quilt : "I wish I could build it for you!" What a wonderful thought! Stay tuned for another closer look tomorrow! Happy Tuesday everyone! I hope this finds everyone well and super excited for the next block in our Home Sweet Home Quilt Along! Before we get to the block, I want to introduce you to today’s designer, Melissa Dunworth of Sew BitterSweet Designs. I would say that I am a quilter, but I started out as a photographer – my minor in college was studio art and I spent so much time in the dark room in college that I began to reflect light instead of absorb it! Now I quilt and occasionally venture into other sewing projects. I love the look of vintage quilts with a modern twist. Zippers and clothes still intimidate me but I get braver with each new project. I grew up watching my mom sew clothes and make quilts and when my brother had his first child I knew I wanted to make her a quilt. It was a simple rail patch pattern made in all pinks and purples bought from JoAnns. The backing was fabric left over from a completely unrelated project. After that I was hooked! This is a tough question. 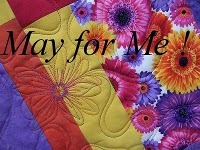 I have so many projects that I have loved and am proud of, but most recently it is my Twirling Around quilt. It is my first ever pattern and it is being sold exclusively at The Intrepid Thread and all proceeds are going to charity. Community Service and charity have always been important to me and being able to do that with my quilting has been the most amazing and uplifting experience. I don’t think that I have a single favorite blog that I read, every day (when my 2 year old permits me to!) I go to all my friends’ blogs. I stalk everyone on Twitter and Facebook to see when they post and then go ogle their newest creations. Which part of the creating process do you like the most? The last stitch! Which part of the creating process do you dislike the most? Figuring out sewing math! 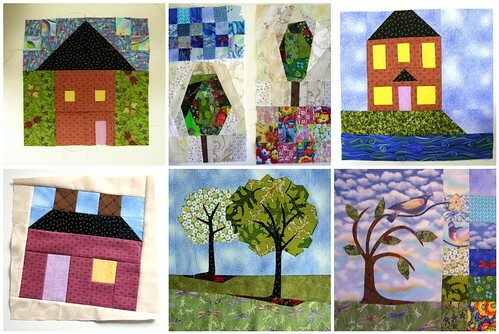 Click HERE to go to Sew BitterSweet Designs’ website for instructions on how to create the next block in our quilt! 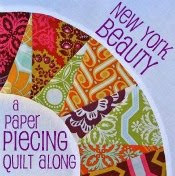 The next block will be posted on Thursday, March 1st and it comes from Michelle at Quilting Gallery! 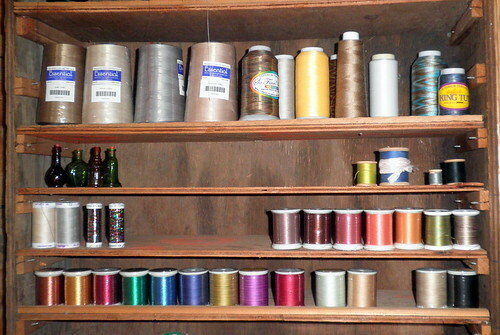 The next article in the Studio Organizational Series for the Learning Center with Pat Sloan is on Thread Storage. 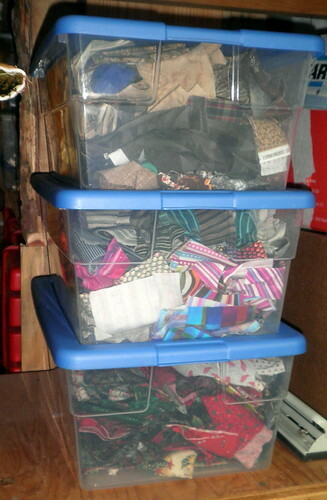 I have DEFINITELY altered my methods for thread storage this year. Above is one of my ‘before’ studio pictures – you can see every thing was a mess. At my apple orchard we make the BEST caramel apples you will ever have which means we go through buckets of caramel each apple season. It turns out caramel apple buckets were a good storage solution for me for awhile. I stored lots of things in them including my thread cones. It was great for traveling to retreats BUT a pain to have to open lids of each bucket to see what was in each one so I am no longer using them for thread in my ‘new’ room (I am still using them for jewelry supplies – properly labeled of course)!. This is a storage unit my husband had created for my paint bottles along time ago. 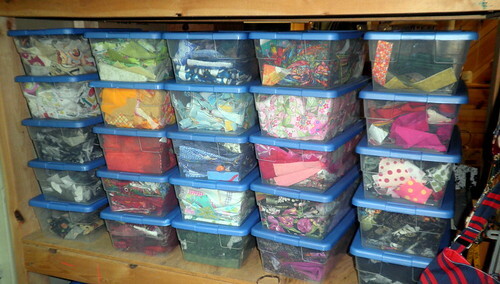 I still paint but not as much as I sew so I’ve converted this into a thread storage as well. I love that I can just stand back and look and see what color I want to use. AND it’s pretty too! 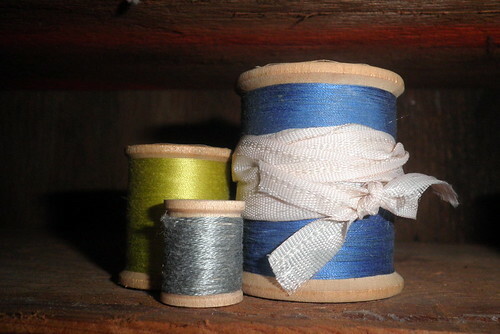 If you have some great thread storage solutions be sure to check out THIS POST to see how you can win some fun goodies! Just click on the links below the picture to leave your thoughts on each of the projects! Thanks for helping us all improve our quilting with your advice! So…I’m participating in a *few* this year including the one that I’m running on my blog. Each Monday I’m going to try to post pictures of the progress I’m making on them all and the progress of those following along with the Home Sweet Home Quilt Along as well. I think it will be fun to watch each quilt grow! I’m going to start with the BOM from FabricFascination. Sometime’s BOM’s are nice to just have the fabric all sent already precut for you – and that’s exactly what I’m doing with this one. Important Links to Participate (you don’t have to buy a kit to join in the fun!) Be sure to check out the blog posts from Kym – she show’s you different ways you can put the block together to make an entire quilt – too fun! Block 3 (I haven’t gotten to this one just yet but should have it in next Monday’s post). So, I’m a bit behind starting this quilt along but I’m going to show you all that it’s never to late to join in the fun! Sure I won’t have a whole month to finish each block – but who like’s to wait that long anyway? This way I’ll have to put them together faster and I’ll get to see the whole picture sooner! 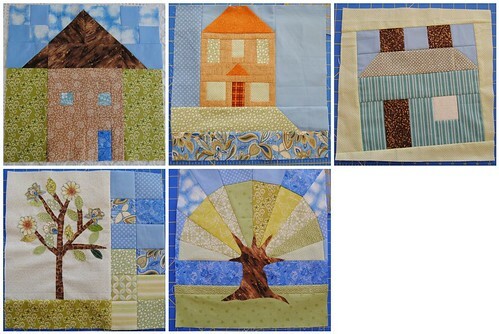 Here are Diane’s blocks that she’s finished so far! PatDenino has created some super fun blocks with a few of her own ‘tweaks’. (LOVE the tweaks!) 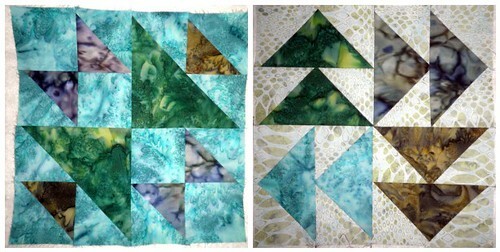 Quilties has these five blocks made so far! I’m seriously loving the whimsical look these blocks are going to make. And here are my blocks so far! The next two blocks will go up Tuesday and Thursday so be sure to join me back here to see what comes next! Happy Sunday everyone! I’m sitting here watching the red carpet at the Oscar’s to see the amazing dresses and putting together the winner’s post! Thanks to the fourteen great entries in this week’s challenge! It was great to see what everyone came up with when posed with the challenge of Barn Quilts. And now – let’s see who won some great prizes! 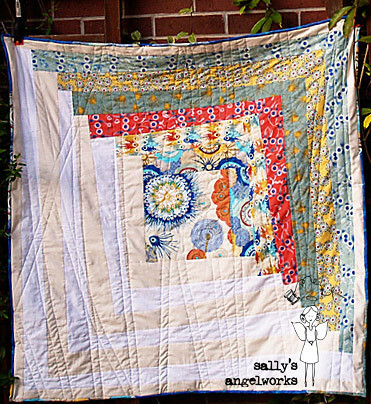 Capri picked For Quilts Sake to receive Prize 2 : Quilties is giving away an adorable ‘I Love Quilting’ Keychain! Nancy’s Unique Boutique was drawn for Prize 3: Marcia’s Crafty Sewing and Quilting is offering a Gift Certificate of $30.00 off Quilting on a Baby size or larger. The Gift Certificate will be good for 60 days from the date of issue. 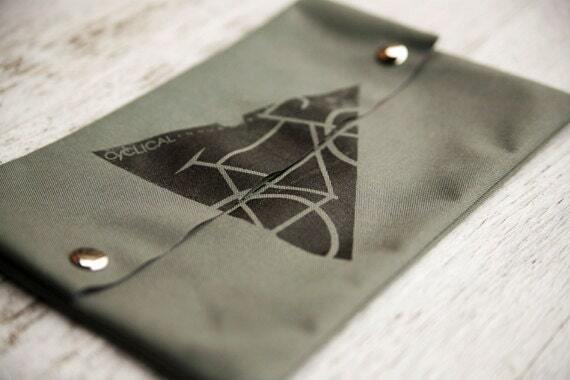 The gift certificate is transferable so you can share it with a friend if you’d like. Capri was really excited to pick Quilts by Lisa for Prize 4 :The Fat Quarter Shop will be giving one lucky winner a layer cakeof their choice! 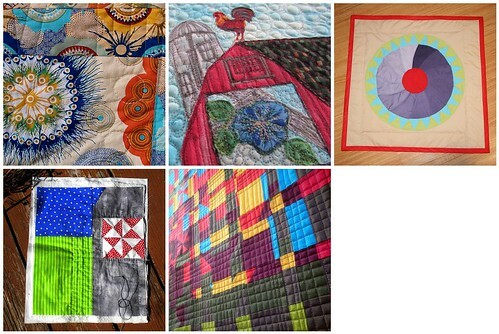 Becky’s Blabber was chosen for Prize 5: LoveBugStudios is giving a Quiltspirations! Mystery Card Pack from her latest venture, quiltspirations.com. A newbie to Project QUILTING, Pat Lester, was chosen for Prize 6 Dye Candy is donating one yard of stunning hand-dyed fabric. 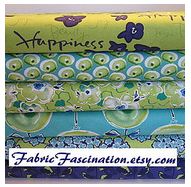 Quilties, our sewing machine cover maker-extraordinaire is taking home Prize 7 Fabric Fascination is donating a Fabric Bundle: 6 Fat Quarters from Kathy Davis Happiness Collection for Free Spirit in Indigo - 1 1/2 YDs (ps. I have this collection in another color way – SPECTACULAR! WayMooreFunQuilts is the winner of Prize 8 Quiltology is giving a coupon for her longarm quilting services for 20% off with a minimum $40 purchase. All of her patterns are online. 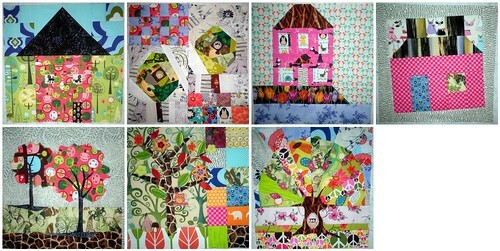 Cedi picked Sharon H to receive Prize 9 PennyFabricArt is donating pretty little mini quilts from for a prize! I’m Feeling Crafty will be getting a fun package containing Prize 10: OddStuffbyXanthe is giving a beautiful small, original collage on a wooden block and a fun pin with a print of her original art work. Well – you get a week off from Project QUILTING. The next challenge goes up on Sunday, March 4th at NOON. 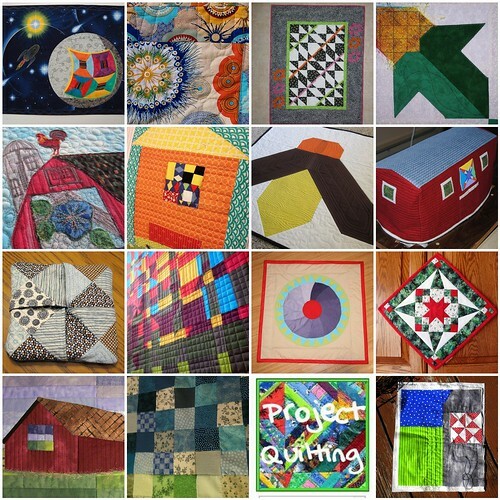 If you want your piece to be ‘critiqued’ be sure to add it to the ‘Project QUILTING – Critique’ Group. 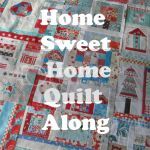 I’ll be posting ‘Closer Look’ Project QUILTING Posts all week AND two new Home Sweet Home Quilt Block Tutorials will be up on Tuesday and Thursday. 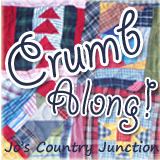 Please help spread the word about how much fun you’re having on my blog to your quilty friends! I wanted to show you my progress on my quilt for the Sun Prairie Heritage Quilt Show. I really need to keep moving on this one as I have to have it delivered by March 1st. It’s time for you to guess what letter I am ‘hinting’ at in my quilt – there are definitely enough clues shown for you to figure it out! 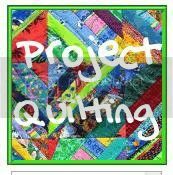 I’ve been a bit slow to get all my feature’s up about my fabulous sponsors for this season of Project QUILTING but I promise I’ll be getting to everyone! Tonight I’m going to introduce you to a good friend of mine - Mindy of Emma Jean’s Boutique! Not really a favorite per say….I like them for different reasons! Thanks for helping making this season even more fun by sponsoring some great prizes for the contestants! An original fabric I designed on Spoonflower from a photo of my birds nest belt. A great print for spring projects! Just a short post today – my sweet Capri turned 4 today so we’re spending the day celebrating! 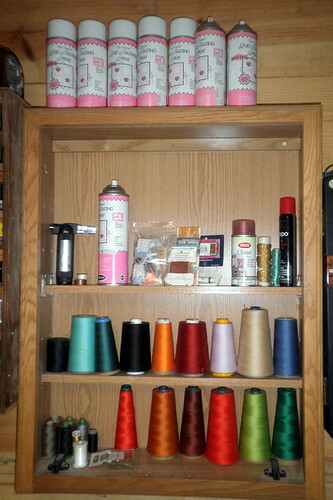 I haven’t posted my re-organzied studio yet but I couldn’t wait to show you my re-organized stash since there’s a great opportunity to WIN a fantastic prize over at the Quilting Gallery. I organized 19 caramel apple buckets, a shoe box and a grocery bag of scraps into clear containers by color, them or pattern (stripes and polka dots). 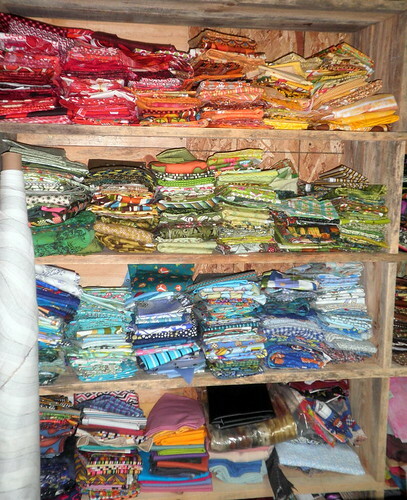 Here you can see the ‘rainbow’ of fabrics I have – super easy now to pull what color’s I’m looking to use instead of cutting into a new piece of fabric. My Christmas fabric, stripes and browns went into slightly larger plastic containers since I had more of them. 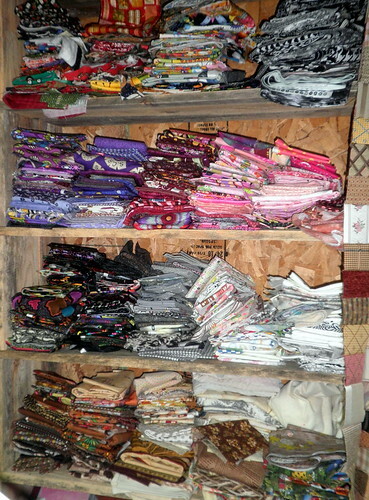 So, this isn’t my fabric stash – it’s all my books and magazines on quilting. There’s another giveaway if you comment on this blog post on how you organize your ‘quilting library’ if you’re interested. And come on, who’s not interested in winning something? Last night I had my Homemaker’s Group over so that meant – major cleaning of the house. Our couches are fairly stained from raising three little kids and I’m not going to replace them until everyone is at least a few years older so I decided to put my quilts on them as slipcovers. Above is my woven quilt. 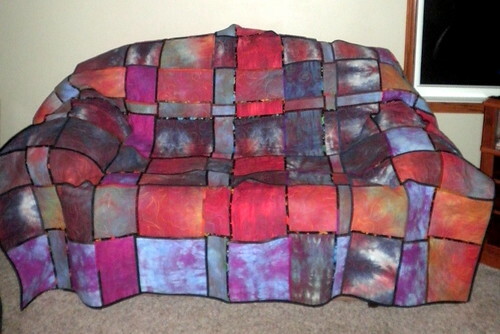 I dyed all the fabric in the quilt and then Barb quilted it for me. Next, I cut the quilted fabric into strips and bound them all. Then, I wove them together, squared everything up and did a binding around the outside of the quilt. Once the pins were taken out the quilt wasn’t staying in place so I sent it back to Barb and she did a square quilting at each of the woven intersections. You still get the woven effect but it keeps its shape much better. I did this quilt because I didn’t like to match my corners when piecing. I can say now that it’s MUCH easier to just take my time and match my corners than it is to weave a quilt! I also hung a bunch of my quilts on the wall for the evening as my talk was on my quilts and the renovation of my quilting/jewelry room (blog post on that coming soon). Above you can see most of the quilts on the wall. It was hard to get a decent picture with the sun coming in the windows. The quilt on the futon is the apple core quilt that Diane made for our wedding. The guests all signed a block before it was put together – a great memento! 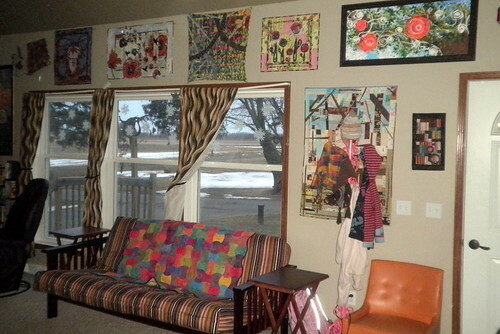 If I remember correctly, the quilt above was the third quilt I ever made. It’s king size so it’s huge! It also has a flannel back so it’s super cozy! Some of the fabric I dyed, some Diane dyed, and some is commercial. I designed the pattern myself using the star medallions (there are 7 total) as the centerpiece of the quilt. I used all LARGE Half square triangles to create this look so it actually went together really quickly. I hadn’t looked at it for awhile so it was nice to pull it out and admire it again! 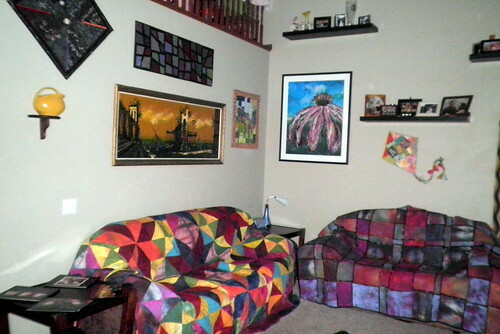 Right now my family room looks like an art gallery with the quilts hanging all over – but for the first time in almost 6 years it’s starting to feel like 'our’ house (Jared likes the cluttered look too! ).